The race for district attorney in Suffolk County, Massachusetts, has become a crowded field, and candidates are trying to court a unique voting block. Candidates hoping to lead the largest prosecutor's office in Massachusetts fielded questions Tuesday from people who know the criminal justice system perhaps better than anyone: inmates at a Boston jail. 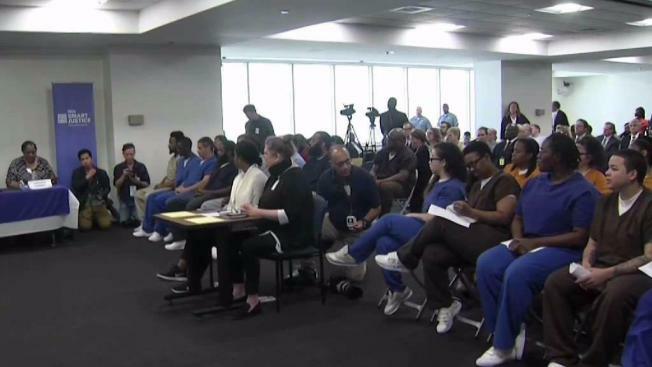 At a forum described as the first-of-its kind in the country, inmates quizzed the six Suffolk County district attorney candidates on issues like police accountability, drug treatment and re-entry programs. Officials said they hope it inspires similar events across the country to include incarcerated people in the conversation about improving the criminal justice system. "I just want to feel as though I do have a voice, and let the candidates as well as the public know that even though we are in this situation, a lot of us are paying attention to what's going on in society," said Eric Miller, who's been held at the Suffolk County House of Correction at South Bay for more than a year as he awaits trial on a gun charge. Miller, 46, previously served 21 years in prison for a murder conviction. The candidates largely agreed on many issues, including the need for more robust programs to divert low-level offenders away from jail and for better drug treatment options behind bars. They touted their progressive credentials and experience watching clients or family members be treated unfairly in the criminal justice system. 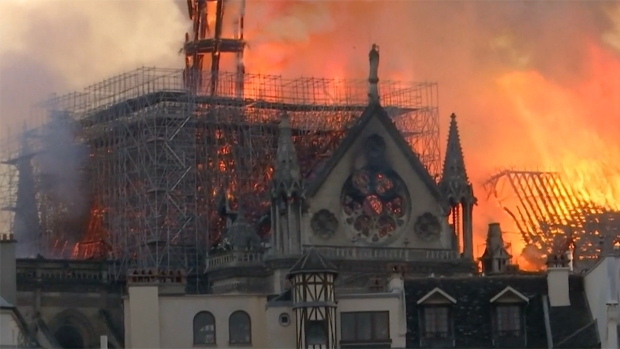 Paris is in recovery mode after a massive blaze burned down parts of its famed Notre Dame cathedral. "I look at you as possibly being my sister, my brother, my neighbor, people I go to church with," said Rachael Rollins, a former prosecutor who said three of her siblings have served in state and federal prison. The candidates are vying to replace District Attorney Dan Conley, who's stepping down after 16 years from the high-profile office, which covers Boston, Chelsea, Revere and Winthrop. Rollins is a Democrat, along with four others: Evandro Carvalho, Linda Champion, Greg Henning and Shannon McAuliffe. Michael Maloney is running as an independent. Groups like the American Civil Liberties Union of Massachusetts -- which hosted the event alongside the sheriff's office -- see the race as a chance to elect a progressive prosecutor who will champion criminal justice reform. Many of the inmates at the jail will be eligible to vote in the Sept. 4 primary as only people incarcerated for felony offenses in Massachusetts are barred from doing so. The jail holds people either awaiting trial or serving sentences less than two-and-a-half years for offenses like assault and battery and car theft. "Just because you are incarcerated doesn't make you a lesser citizen, it doesn't mean that you shouldn't have a voice in moving this commonwealth and this country and this society forward," said Sheriff Steven Tompkins.